Who's have thought you could get a beverage with your name written on it without taking some Tipex to it yourself? But Coca Cola have taken it upon themselves to adorn their bottles with 150 of the most popular names in the UK, possibly the world. With there being a large variety of names you'd imagine that finding your own name would be quite difficult and it appears that it is. I've lost count of the number of Facebook posts I've seen where people have been trying to find their name for days. Needless to say the shelves of Coke are in complete disarray as people fling the wrong named bottles to the side in a hope of finding their own moniker. I first looked in Asda Living with no luck. Tesco, however, was a much luckier attempt. Not only did I find my first name, but there was also my middle name. I just went with the first name. 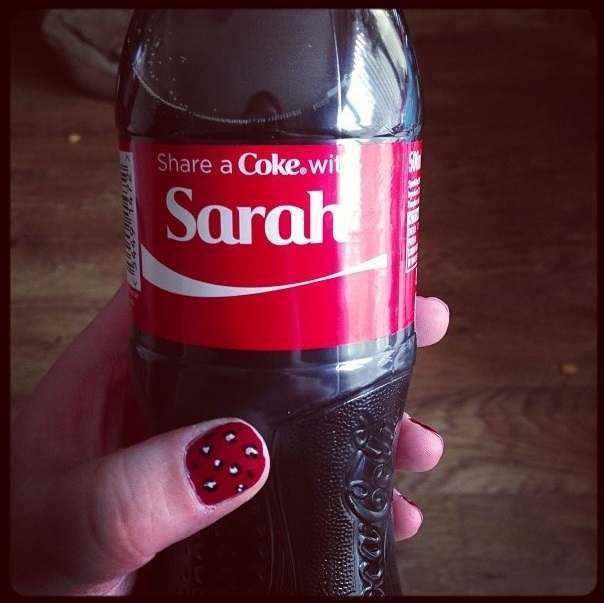 Have you found your own name yet?